Did you know that October is National Pork Month? 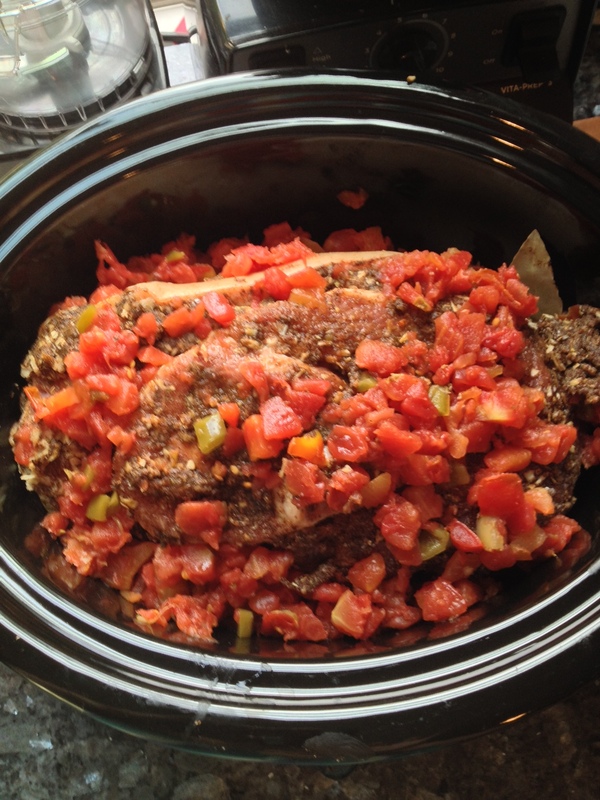 Slow cookers are the perfect piece of kitchen equipment for carnitas, a Mexican preparation of pulled pork. We love pulled pork recipes because they are versatile and budget-friendly. This recipe was inspired by the carnitas served at Chipotle Grills across the country – succulent pork that is smokey and just a bit spicy, it can be used to fill gluten-free tortillas, in a taco rice bowl with black beans or as a salad topper. Add the first 9 ingredients (dried onion though bouillon) to a mixing bowl and stir to combine. 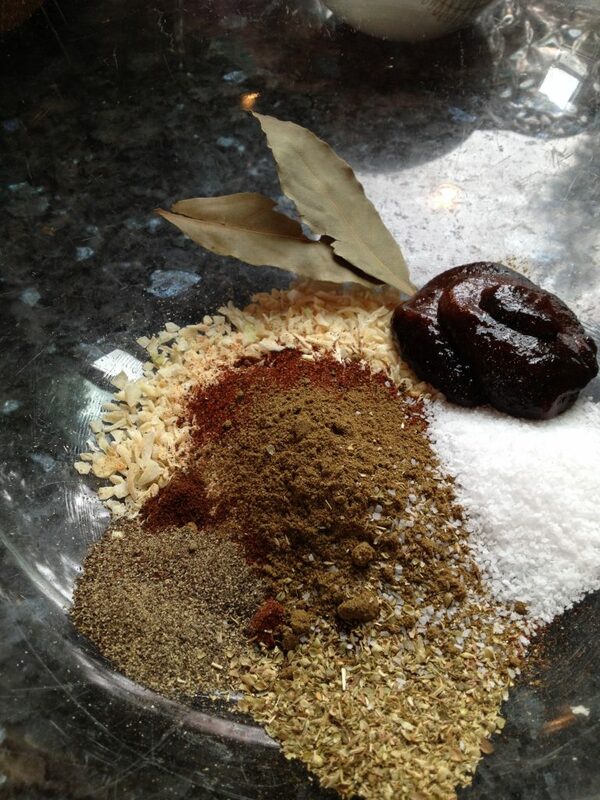 Add the pork to the bowl and rub the spices all over the roast. Add half of the tomatoes and the bay leaves to the bottom of the slow cooker crock. place the meat on top of the tomatoes. Scrape any seasoning left in the bowl into the crock and pour the remaining tomatoes over the top of the roast. Cover and cook on LOW for 8 hours or on HIGH for 4 hours. Carefully transfer the meat to a bowl and allow it to cool a bit. If desired, strain the cooking sauce. Pull the meat from the bones and add it back to the slow cooker. Pour the cooking juices over the meat, gently stir and serve. Carnitas is a great great make-ahead meal and it freezes well. If you cook it ahead, let it cool for a bit. 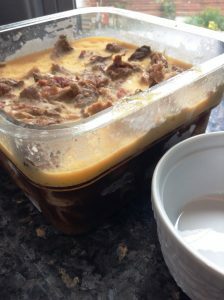 Pull the meat away from the bones, strain the sauce (if desired) and pour it back over the meat and refrigerate. Before reheating scrape the solid fat away to discard for another use like beans. Beautiful pictures! Can’t wait to try it!